You don’t need to be an athlete to appreciate a Nike Hoodie. Whether you are training all year round or just keen to look sportily stylish with a casual off-duty look, a Nike Hoodie can really help to keep out the elements. With so many signature styles to choose from too, you are spoilt for choice when it comes to Nike Hoodies for Men. With zippered versions, pull over the head hoodies and all being constructed from a range of innovative Nike designed fabrics. Their range of hoodies and fleeces have been technically engineered to keep you warm, comfortable, stylish and dry. Let’s take a look at some of the extensive and varied models that have made it onto our best Nike Hoodies for Men list. Super easy to wear and casual yet sporty, this is a wonderfully soft and cozy hoodie from Nike that is made of 80% cotton and 20% polyester. Featuring the iconic Nike logo and swoosh embroidered onto the left chest so that it won’t fade in the wash or wear off over time. This is a classic pullover style men’s hoodie with a custom fit drawcord so that you can pull it tighter if you need to keep the chill-out. The hem and cuffs are made from a slim ribbed design which compliments the overall clean and minimalistic look of this Club style hoodie. It’s ultimately wearable whether you love sports or are just hanging out. With its wide range of contemporary color choice too, there’s a Sportswear Club Hoodie that will definitely suit you. It’s also fully machine washable. Be sure to combine this with cool Nike sneakers from our list. The Nike SB Icon sweatshirt has long sleeves and is perfect for keeping you warm and looking effortlessly stylish whether you are trackside or heading out for a pre-workout drink with mates. It’s constructed from a soft and cozy fleece fabric that feels lovely against the skin and has raglan sleeves that provide for plenty of mobility. Created with the skateboard scene in mind, it’s a contemporary and stylish looking men’s sweatshirt that comes in a range of eye-catching colors with contrasting swoosh logo design emblazoned proudly on the chest. We especially love the classic grey marl color that looks great teamed with a pair of dark denim and your favorite Nike sneakers. The perfect technical full zip up hoodie to keep you protected from the elements if you are taking your exercise outdoors. Constructed from Nike tech fleece fabric, Tech Windrunner is soft and warm but also lightweight and the perfect addition to a runners’ winter wardrobe. With its three panel hood that additionally features a visor as well as a drawcord, you can stay protected from the wind. There’s also a curved dropped hem that provides enhanced coverage plus articulated sleeves that work with your body rather than restricting your movement. 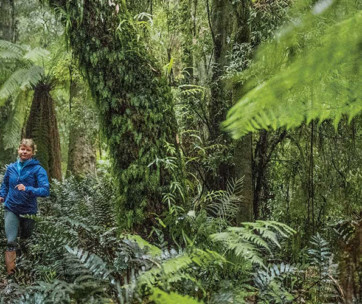 This Windrunner men’s jacket has been engineered to support your performance goals, no matter what the weather. With its instantly recognizable Nike chevron design, the Nike Windrunner is still as popular and relevant today as it was back in 1978 when it was initially introduced. You can find more performance clothes by checking our running jackets review. 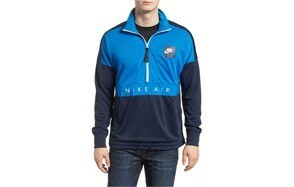 A classic pullover Nike fleece sweatshirt that is cool, contemporary and minimalist in design. It comes in a range of popular colors and is super easy to wear. There’s a convenient kangaroo style split pouch pocket on the front as well as a drawcord around the neck to help keep the chill out. It’s constructed from the softest technical fleece material and designed to be both warm and comfortable but to deliver plenty of mobility. Fully machine washable and also suitable for the tumble drier, Therma-Fit Hoodie is a fleece that you will wear time and time again. Just put your cool white sneakers on and you are good to go! If you’ve got the muscles and you aren’t afraid to show them, then Nike Training Dry Top PX Sleeveless Hoodie is definitely the one for you. We think it has a touch of the rock n roll bad boy about it and it will certainly go down a storm in the skatepark or just casually strolling down the sidewalk. With its drawcord neck and casual hood design, the short sleeves enhance the overall cool and contemporary look of this pullover fleece. Just wait till you see the back of this hoodie though. It has the iconic words, JUST DO IT emblazoned horizontally down the back for all to see. Not just that, but it’s also made from moisture-wicking material so it will keep you cool in more ways than one. A fully zippered version of the Nike Sportswear classic Club hoodie this comes in a wide range of contemporary colors and all with the signature Nike logo embroidered onto the left chest. There are two split kangaroo style pouch pockets, perfect for storing your cell phone, wallet, etc. Full Zip Club Hoodie from Nike is constructed from the softest of fleece fabric with a brushed back, designed to be ultimately snug and cozy. There’s a convenient drawcord neck plus a generous, roomy hood that will help stop those chills from multiplying! With its slim ribbed hem and cuffs, it’s a minimalists dream, all clean lines and classically casual. A super versatile and comfortable to wear hoodie to add to your collection. You can wear it over a V-neck T-shirt and look cool every day. NSW Tech Fleece Raglan is the ideal pullover for post workout or just hanging out. It’s got a street style, casual vibe about it with its slim fit and long raglan sleeves. It’s constructed from a warm, cotton blend, so it’s also pretty toasty inside, plus there are two convenient pouch style pockets, ideal for storing essential items. Easy to wear, in classic colors, it looks great worn with a pair of denim jeans for a smart but casual off-duty look. Sports-inspired but with a stylish twist, we love this tech fleece pullover from the NSW Nike collection. Ideally suited to lovers of outdoor sports and in particular the golfers among you, Therma Half Zip Golf Shirt has a repellent finish to help keep you dry and protected. There are a serious amount of color options to select from and its smart enough to wear in even the most strict clubhouses. The 2-way stretch natural promotes full and unrestricted movement, while the additional hem vents are great for providing both ventilation and extra room to move. Even if you don’t love golf, you will definitely love this pullover design fleece shirt from Nike. You can check our review of other cool golf gifts and find the perfect one for you! Archive Crewneck Sweater is a striking and eye-catching classic creweneck sweater from Nike that looks cool and contemporary. Wear it with your joggers or better still, team it with cargo pants or jeans for a stylish off-duty look. It’s a truly comfortable fit and cut, constructed from soft tech fleece. Take a closer look, and you will see the hidden detailing that goes into making this a classic purchase. There are two discreet side snaps on the hem that provide an extra vent plus we love the stripe detailing around the neck, hem, and cuffs. The Nike logo is emblazoned on the chest to enhance further the standout features that make up this bold design. It’s just like the 90’s never left us! In a good way of course. KO 3.0 is a classic style pullover hoodie with a large Nike swoosh emblazoned on the front chest. This is super warm and comfortable to wear and will certainly keep you cozy on those chilly Autumn days. It also has a mesh interior hood to keep the cold out but also to keep you ventilated. There’s a front, pouch style pocket, perfect for keeping your hands warm and your valuables safe. All round an excellent choice for keeping warm and looking the part, whether you are performing, playing or just relaxing. Just like its brother, the NSW Archive creweneck, NSW Archive Zip Hoodie makes a bold sports and fashion style statement with its original detailing giving a classic nod to the 90’s. We think it epitomizes urban cool and with this fully front zippered version, you get plenty of versatility as well as flair. It’s a super soft, street-ready hoodie for the discerning among you. The color blocking is bang on trend, and we love the eye-popping combo of yellow and black. Another classic from the Nike archives that has made it onto our “Best of” list is this Nike Swoosh hoodie in a pullover design. In a range of bold and contemporary colors, it is classically and solidly stylish and minimalist in design. With a drawcord neck and constructed from stay Dry fabric, it presents fully customizable coverage and fit. The extended length raglan sleeves provide plenty of flexible movement while the kangaroo pouch pockets are a convenient addition. It’s still of course unmistakably Nike with the large swoosh trademark screen-printed on the front of the chest. You can pair this hoodie with a nice sports watch from our list. With its Dry-Fit fabric design and its sleek and ergonomic fit, Hyper Dry Regular pullover hoodie from Nike is a tremendous technical garment and looks pretty stylish too. The fabric’s construction prevents overheating while the hood is roomy. It has a slim and simplistic fit which is perfect for providing plenty of flexible motion. The moisture-wicking fabric dries quickly keeping you cool and comfortable at all times. Created to be worn on the basketball court, Showtime Basketball Hoodie is a versatile piece of active performance clothing. Constructed from Therma Flex stretch fabric, it helps keep you warm and dry so that you can stay focused on bringing your A-Game. It has been thoughtfully and intelligently designed with a hood that provides peripheral vision and a mesh panel over your ears to enhance your senses and responsiveness on the court again. There’s also secure storage with two convenient side zip pockets, perfect for holding your valuables. A great technical garment from Nike for all of you basketball enthusiasts. If you are looking to upgrade your sports gear, then make sure you read our Under Armour shoes review or our New Balance shoes review. Another great contemporary sweatshirt from the NSW range that features color blocking and 90’s street style design. This time in a classic Air Crewneck pullover sweatshirt. Cut from super soft cotton, it’s comfortable to wear and really provides that urban street style vibe. We love the shoulder and sleeve detailing that give this sweatshirt a really bold and statement design twist. There’s also a large Nike air logo printed on the front. An excellent choice for the fashion conscious who want to look as good as this sweatshirt performs. Therma Men’s Training is a great technical performance hoodie from Nike, perfect for all your outdoor training requirements. With its long raglan style sleeves there is plenty of flexible motion and the slightly longer dropped hem, again provides an enhanced range of motion as we all extra coverage and support. This training hoodie is constructed from Therma sphere fabric which means that it also helps to regulate your body temperature and keep you comfortably warm. There are also two convenient side pockets, perfect for storing your essential everyday items. 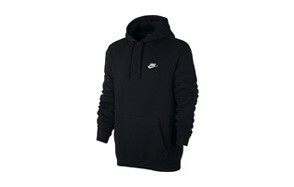 It’s easy to see why this hoodie has made it onto our Nike Hoodies for Men selection. With a pair of good running shoes, you will be fully prepared to give your best while training. Another sleeveless version makes it onto our recommended list with this Dry Training version from Nike. It features smart performance, moisture-wicking fabric to keep you cool and calm and always in control. The sleeveless style means you can conveniently layer this with your technical garments or just wear it utility style and flex those muscles! Again, those kangaroo style pockets are both practical and convenient and give this hoodie even more style and versatility. Last but by no means least, the ultimately wearable and comfortable pullover hoodie made from French terry toweling fabric. This gives the Club fleece unparalleled softness and is super comfortable and cozy to wear. It comes in a vast array of contemporary, classic and chic colors and with its ribbed cuffs and waistband provides a snug and stylish fit. This Team Club Hoodie really is a classic from the Nike vaults and a design that will be around for many years to come. When choosing your new Nike hoodie, decide first up when, where and for what purposes you are going to be wearing it. 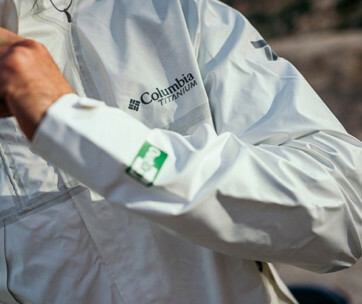 Do you want a technical garment that provides moisture wicking or something that will repel water and be ideal for outdoor activities like golfing? Are you looking for something that will keep you warm as well as dry? 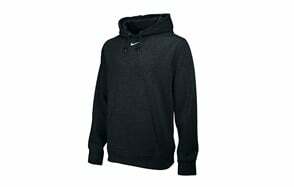 Nike performance Hoodies garments come in all kinds of technical fabrics so pick something that works best for you. We also recommend that you consider the fit, style, and size too? Do you need to have plenty of flexible movement? If so, make sure that the design you go for provides mobility. Your key considerations when investing in the best Nike Hoodie for men should be size, material, design and of course color. Is there anyone who isn’t familiar with the Nike brand? The name as well as their swoosh logo are instantly recognizable the world over and adored by performance athletes, stars of stage and screen, as well as Mr. Regular on the street. Whether you are buying Nike Hoodies to enhance your chosen field of sport or just to look effortlessly casual and sportily stylish, Nike is a brand you can trust to come up with the goods. From footwear to sportswear and their extensive apparel lines which include Hoodies, Nike is one of the biggest brands around and at last count employed over 44,000 people globally. That’s quite an operation. You may be surprised then to discover that Nike has only really been around since 1964 when it was set up by Bill Bowerman and Phil Knight and was formerly called Blue Ribbon Sports. Nike Inc as we know it today came into force in 1978 and has been on a mission to bring inspiration and innovation to athletes around the world ever since. Just in case you are thinking, “but I’m no athlete! I can barely walk down the street without getting out of breath!” Well, at Nike they quite simply believe that if you have a body (no matter how in shape it is or isn’t), then you are an athlete. 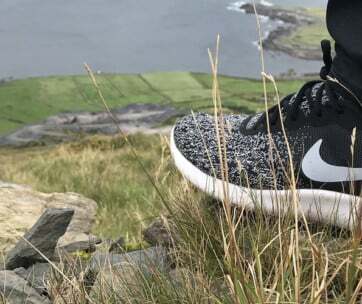 With a Nike branded product & Nike Hoodies of some description literally being sold every second of every hour and day, they are a global phenomenon and continually innovating and striving to make their products more sustainable. Q: Do Nike hoodies shrink after washing and in the dryer? A: If you follow your garment’s specific washing and drying instructions, then it should not shrink. Be careful to follow the directions from the manufacturer which will differ depending upon the fabric constitution. Certain fabrics will shrink more than others, especially if they are washed on a high-temperature setting and then put into a tumble dryer too high also. Many of the fabrics that Nike uses in their best quality Hoodie designs are technically constructed, so it really is of the utmost importance that you refer to the instructions to maintain the desired size and shape of your Best Nike Hoodie for Men.